I can remember the first time I ever thought about death. I was very young, six or seven maybe, but my thoughts were fixed on the fact that I would be lying in a grave unable to breathe or exist or… anything… so dark and claustrophobic. I can remember that it seriously messed with my head—that whole being dead thing. We all think about it, we wonder how we’re going to die and what it’s like afterward, but we don’t dwell on it for long because it gives us a dark and uncomfortable feeling. It feels like forbidden territory to us. I felt the same way while immersed in Leo Tolstoy’s The Death of Ivan Ilyich—until I reached the end. It was as if I was reading a description from someone who had passed and was relaying truths from the other side about his moments leading up to the ultimate tipping point. All that anxiety over making things right before we pass. Inside each of us are truths waiting to be tapped, sins wanting to be repented of, and love desiring to be exchanged. Many never get the chance. Ivan Ilyich gets his chance in an instant that will convert anxiety to peace. “In place of death, there was light” (Tolstoy 1459). The story begins with a scene which takes part after Ivan Ilyich’s death; the characters reminiscent of T.S. Eliot’s “Hollow Men.” They are in attendance at the funeral and the only thing anyone seems concerned about is money, promotion and status—all things in which our main character had worked all his life to attain. While the funeral guests make their way up to the coffin, we are told by Tolstoy that “The dead man lay, as dead men always lie, in a specially heavy way, his rigid limbs sunk in the soft cushions of the coffin, with the head forever bowed on the pillow” (1424). As with all open casket funerals, we understand the attendees are uncomfortable with the sight of the body, particularly with the expression on the face of the deceased. Although it is not enough to keep them from carrying on with their private conversations about how they plan to benefit from the death of Ivan Ilyich. During Ivan’s earlier years, he felt dissatisfaction with his ordinary life. After graduating from law school, he made his way up through ranks and salaries and strove to do everything in the proper manner. Life was about position, wearing the right clothes, being seen with the right people and work. He eventually married a woman by the name of Praskovya Fedorovna Mikhel—not because he was in love with her, but because it appeared to be the practical thing to do. He soon found that married life—especially under these circumstances—was more challenging than he had originally imagined. Ivan meandered through life’s ups and downs creating a family, working to acquire more things and avoiding confrontation with his wife. At one point he received an unexpected promotion which rewarded him with far more income and a truce with his spouse. During this time of harmony and peace a new house was purchased and in the process of redecorating, Ivan was injured as he nearly slipped off a ladder. He fell into the knob of the window frame knocking his side. Although he was bruised, he made nothing of it and in fact wrote: “I feel fifteen years younger” (1435). After some time Ivan began to have a strange taste in his mouth and increased pain in his left side. The discomfort began to affect his mood. Ivan eventually got to the point where he became bitter and quarrelsome, which in turn aggravated relations with his wife. Praskovya Fedorovna found herself “dreadfully unhappy” (1438). As time went on Ivan’s health got progressively worse until finally he had to quit work and remain in bed. Doctors came and went each with a different diagnosis and each prescribing drugs to make him feel better, but the pain was unbearable. Realizing that something was seriously wrong; fearful thoughts consumed him. His wife was of the mind that he was annoying her with his illness out of spite. Ivan felt he was pathetic in the eyes of those around him and he was resentful. He knew he was dying and he did not want to be surrounded by the people who irritated him—namely his wife and daughter. He was consumed with thoughts of death and couldn’t believe it all started with a knock on his side which seemed harmless. Just when Ivan felt he could not take anymore, he received comfort from a new friend by the name of Gerasim. Gerasim was the butler’s young assistant and was a very compassionate man undaunted by Ivan’s condition. He genuinely cared for Ivan, but when Gerasim wasn’t there, Ivan had to deal with the others. He saw through them all; they just wanted to be rid of him and he felt it. As Ivan lie in agony he had much time to think and argue with himself. He thought about his life and what it had meant; soon realizing he had been preoccupied with all of the wrong things during his lifetime. His mental torment began to outweigh his physical one and the wheels were constantly turning in his mind. While he tried to make sense of things he posed many questions: “What if my whole life has really been wrong?” and then, “But if that is so … and I am leaving this life with the consciousness that I have lost all that was given me and it is impossible to rectify it—what then?” (1457). Pondering these questions got him to think in a new way. The next time his wife and the others who had been irritating him came into his room, he had a clearer understanding about how he had been projecting himself onto them. His whole life had been a deception and we are told that “this consciousness increased his physical suffering tenfold” (1457). As the priest performed last rights, Ivan’s tears confirmed the fact that it was a comfort to him in some way. But the comfort soon changed to anger and denial. He began to scream and it continued for three days. For three whole days, during which time did not exist for him, he struggled in that black sack into which he was being thrust by an invisible, resistless force. He struggled as a man condemned to death struggles in the hands of the executioner, knowing that he cannot save himself. And every moment he felt that despite all his efforts he was drawing nearer and nearer to what terrified him. He felt that his agony was due to his being thrust into that black hole and still more to his not being able to get right into it. He was hindered from getting into it by his conviction that his life had been a good one. That very justification of his life held him fast and prevented his moving forward, and it caused him most torment of all … Suddenly some force struck him in the chest and side, making it still harder to breathe, and he fell through the hole and there at the bottom was a light (1458-59). This is a very profound image of the moments leading up to his blessed enlightenment. His life could still be rectified. As Ivan felt his oppression dropping away from him, he felt sorry for those around him and desired a release for them and for him. He was able to find joy in the simplicity of it all. He experienced a different perception of the pain and no longer was there any fear of death. Time was less a factor for him as he was no longer a part of it. It seemed that it was all happening in an instant. Finally, he heard someone say “it is finished!” and his soul repeated “Death is finished … it is no more!” (1460). This story gets to the root of what life and humanity is about. It shows us that in all of our striving for material wealth, it’s what will torture us in the end if we don’t take the time to acknowledge and savor the love in our lives. This is not your typical moral to the story though. This one is done in such a way that it gets under our skin and pulls us in because of our morbid interest. We are all interested in death. The Death of Ivan Ilyich takes us through death and into the light. 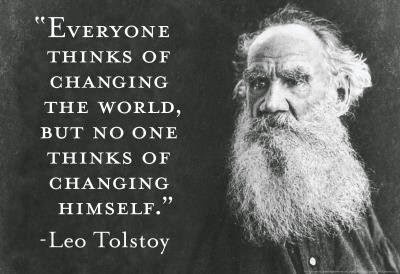 Tolstoy, Leo. “The Death of Ivan Ilyich.” The Norton Anthology of World Literature. Second Edition Volume E. Ed. Peter Simon. New York: W.W. Norton & Company, Inc., 2009. 1422-1460. Print. At first, the decision to write about Agnes Martin came out of a desire to show respect for an old female artist who seemed to be in absolute agony. You see, after the first night of watching her on video in our Art Appreciation class, with all of her grunting, lip-smacking and issues of old age, I doubted that anyone else would choose her for their final paper. This isn’t meant to be a put down to her; it’s just that Martin was SO real in her interviews and so unconcerned with self and the outer shell, my first impression was that she was a man. 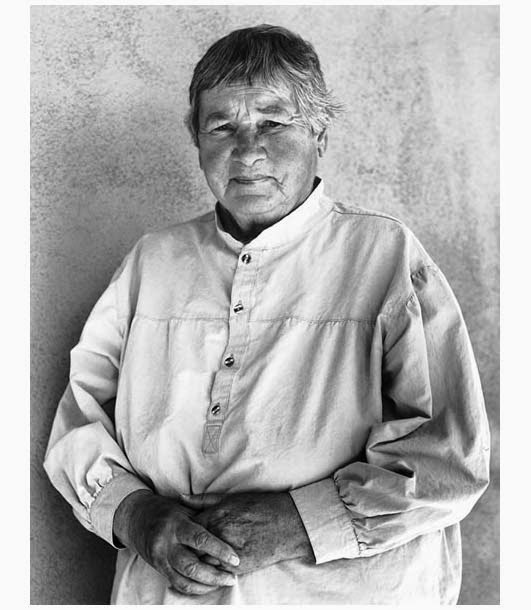 Agnes Martin is a woman whose beauty comes from the inside, but once her beauty has been experienced, it’s hard to turn away. It’s not just the beauty of her art, but also of her wisdom. It is this essence of her that I will attempt to capture in this paper. 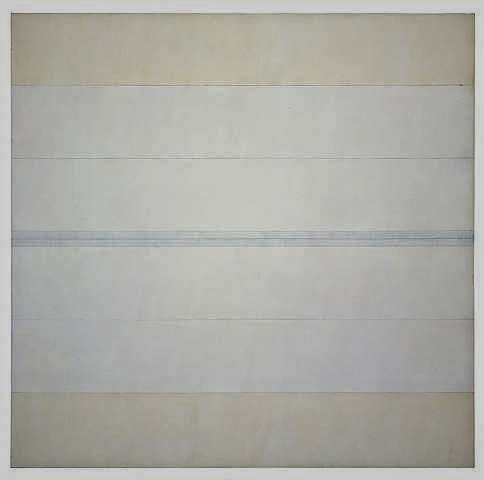 Agnes Martin was born in Saskatchewan, Canada in 1912. She moved to the United States in 1931, and began her college education at the Western Washington College of Education, Bellingham, Washington. She attended three other colleges while teaching art and eventually earning her B.S. in 1942. She became an American citizen in 1950 and received her M. A. in 1952. Both of her degrees are from the Teachers College, Columbia University, New York. In 1954 she moved to Taos, New Mexico and lived there for three years while teaching art and developing her painting skills. Very little art was sold back in those days, but in 1957 Betty Parsons of the well-known Betty Parsons Gallery took notice of her. After helping Martin to sell a few of her paintings, Parsons offered her a solo exhibition, conditional upon a move back to New York. Martin agreed, and was soon living in the Coentis Slip, which was a community of struggling artists—many of whom would later go on to become commercial successes. Inspired by abstract expressionism, Martin moved away from painting the usual landscapes and portraits, to an abstract style. It wasn’t long before she came into her own, and according to London’s Times (quoted from notablebiographies.com/newsmakers2/2006-Le-Ra/Martin-Agnes), it was about 1960 when she reached her artistic maturity. The Times described her work as “a square format; canvas primed with two layer of gesso; hand-drawn pencil lines; thin layers of paint, first in oils, then in acrylic which she preferred because it was much quicker to dry.” It was this work that distinguished her and her style from the other artists in her genre, giving her the ability to command a pretty penny for her works. Martin grew weary of the attention of the art world and longed for a much more secluded lifestyle. Eventually, in 1967 she made her way back to Taos, New Mexico and put her paint brush down for awhile. The Gale Encyclopedia of Biography (quoted from answers.com) states that, “Her refusal to paint for seven years at the height of her professional success added to her enigma, as though she were choosing spirit over matter.” It was during this time she began to write; giving the world access to her thought process and helping us to better grasp her work. After reading some of her writings, her paintings made much more sense. Studying an artist a little bit before viewing their work is a good idea if time allows, because art can be hard to understand. An example of this would be one of Martin’s paintings, The Desert (which was expected to bring in somewhere between $4,000,000 and $6,000,000 at Sothesby’s). I tried REALLY, REALLY hard to see what the art critics were talking about with this piece, but I just didn’t “get it.” It could’ve been the fact that the computer screen was not picking it up the detail in the way that it should be viewed, but I couldn’t see where that would’ve made that much of a difference—not for 4 to 6 mil. What I could see was the color. It was, in fact, very representative of the luminescent coloring of a desert sunset. I can appreciate that very much. Martin had the luxury of being able to sit and soak up her environment, which included all those beautiful pastels and sandy colors we see on desert evening. Not only that, but it’s easy to imagine the feeling that goes along with it; peaceful, contemplative, and Zen-like. This is what she captured in this work. What is hard to understand is the valuation of the piece. It seems obvious to me there is much more involved here than the artist’s talent. It’s seems more of an attempt to jack up the price of a work so that others can get rich on the backs of the artists, ultimately having the power to taint our perspective. We, the audience, need to appreciate a piece of work not for the amount of money it may command, but rather, for the value of our individual perception. Some of us may need a little help from the artist in order to understand the work, but once we do, it makes the art much more enjoyable. “All artwork is about beauty; all positive work represents it and celebrates it. All negative art protests the lack of beauty in our lives. When a beautiful rose dies, beauty does not die because it is not really in the rose. Beauty is an awareness in the mind. 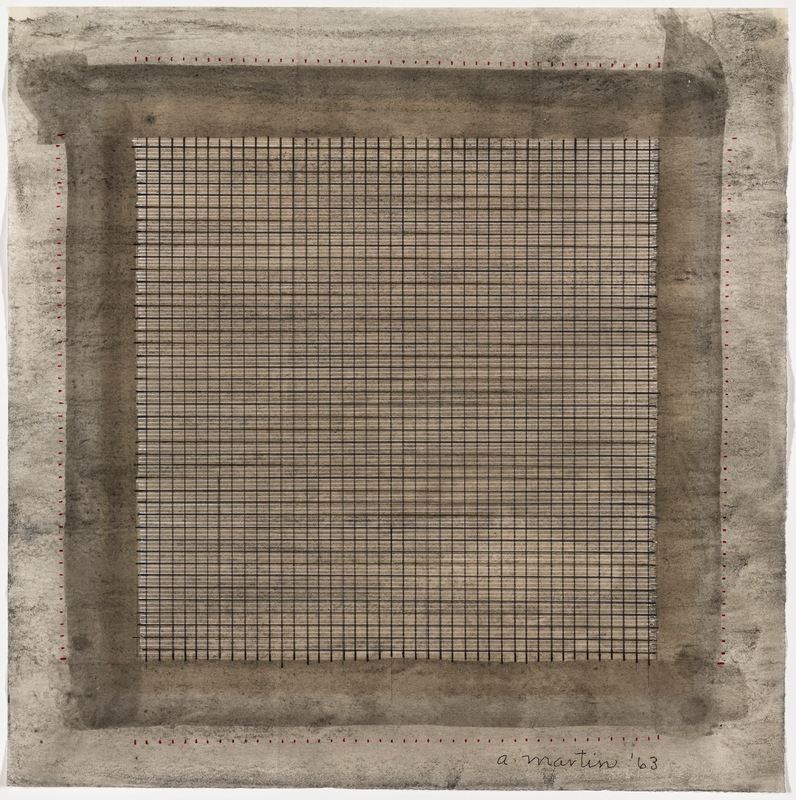 It is a mental and emotional response that we make” (Agnes Martin). It became clear to me after further research, that Martin had a way of stripping the illusion away from reality as she spoke in plain terms and revealed to us a much more profound way of thinking. In fact, I feel stupid for having been so superficial in the beginning. This beautiful soul didn’t need anyone’s approval; not mine and not the rest of humanity’s. She had evolved far beyond that. It was her mind, as much as her art, which attracted the appreciation of her followers. While Martin’s uncluttered perspective of life may seem out of the ordinary to the average person, to an artist, it’s about as close as one could get to Nirvana. While watching her in the video Agnes Martin: With My Back to the World, we witnessed her as she painted and talked about her work. She described a horizontal line in the painting she was working on at that moment, a line we don’t want to go below because going below that line would take us into the negative. We need to stay above the line in “positive thoughts.” While she was discussing this, I became emotional for some reason. I’m not quite sure what it was that did it. Perhaps it was because I was so into what she was teaching and so aware of the negative thoughts that I have been carrying around with me, that it struck a chord. I must have been thinking, ‘you mean that’s all I have to do is stay above that line?’ Isn’t that what art is supposed to do? Strike a chord with us to the very depths of our souls? Even if only for a moment? She made me want to meditate on her work, in hopes it would help me to rise above the meaningless crap. This woman has a way of mirroring the core of our being and making us aware of what’s possible. Her artwork reflects a type of repetition and what appears to be a kind of “classicism.” It is in this repetition we can see a form of meditation. It is predictable and therefore soothing and easy to take in. When practicing Zen meditation, one must focus upon something that is infinite or unsolvable. It is in this visualization of one thing only which helps to free the mind of clutter and better enable us to receive inspiration. Not only was Martin helping us to experience the infinite from our own perspective, with the possibility of receiving inspiration of our own; she was also expressing her own internal philosophy. She was a teaching artist, and she wanted to give us all the gift of peace. Considered a minimalist by some, she referred to herself as an abstract expressionist and rejected the minimalist tag. While it’s not hard to see where someone might perceive minimalism in Martin’s work, our interpretation doesn’t necessarily describe her style. Who are we to tell her what her style is? Maybe it’s the audience who hasn’t taken the time to get to know her that labels her a minimalist. They are not seeing her art the way she is expressing it, they are only judging the work from their own perspective. The audience that has taken the time to understand her and may have more of a feeling towards art, will appreciate the abstract expression. Then again, couldn’t it be both? It could be the minimalism in her mind (the emptying) that allows her to receive and then express her inspiration. She has so mastered the un-cluttering of her mind, that in her later years she said she didn’t even have to meditate or put effort into it anymore. Martin stated, “I used to meditate until I learned to stop thinking.” All she had to do was determine it, and her mind would remain “empty” and ready for inspiration. She started with minimalism by reducing her thoughts to nothing—a blank slate, which gave her the ability to receive inspiration and would manifest itself as abstract expression. I’m going to take it even further. This was a cycle she was creating and I can see it now. After it left her and became art, the general public received it as minimalism. Then what? Once we got to know her we were able to move on to the clearing of our own minds by meditating on her work and giving us the gift of inspiration. It would be up to us to decide where to take it from there. This is a social construct. As we are able to see in her earlier works, Martin leaned heavily towards abstract expression. 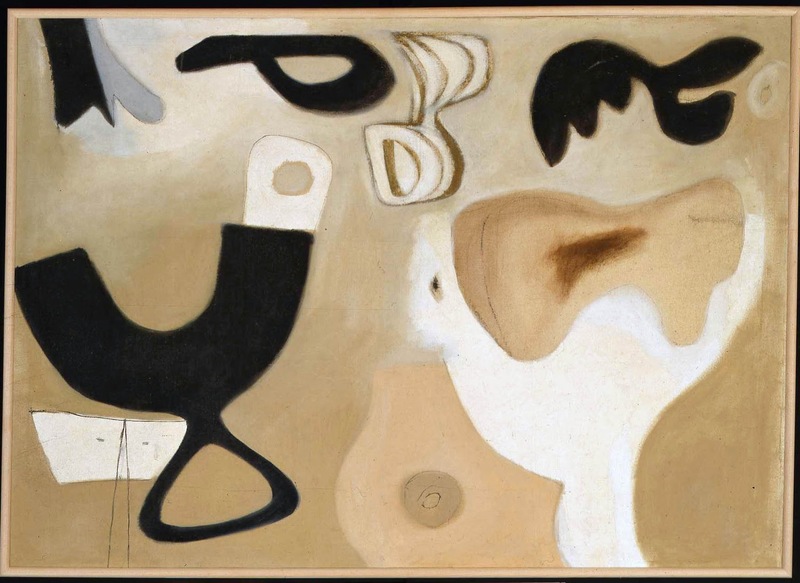 The Harwood Museum of Art states in an article entitled Agnes Martin: Before the Grid, “The biomorphic piece—involving abstract shapes that evoke living forms—was a serious effort to find a new language and visual vocabulary.” What is biomorphic? According to Encyclopedia.com, it is a “term applied to forms in abstract art that derive from or suggest organic (rather than geometric) shapes.” It is representative of surrealism, and a good example of this style can be seen in the works of Jean Arp, an associate of Kandinsky and exhibitor with the “Blue Rider” group. His painting Configuration would be a great example of this. As Martin began to move away from the biomorphic shapes she began to focus more on linear and grid-like designs in grey tones and other washed-out subtle colors. She eventually got to a point where she couldn’t stand her earlier work and even went as far as to destroy much of it. Above, an example of Martin’s Biomorphic work. Untitled. 1953. With her strong ties to the Modern Art genre, she has definitely made her way into the world of Contemporary Art. It is her ability to transcend her audience into a deeper realm of thought. She moves us from the canvas and into the mind with both her philosophy and her paintings. For the sake of representing Martin more accurately, I’ve gathered together some of her own words and will use this section to convey as much of her essence as is relevant to this paper. This came from an in­ter­view done with her at her stu­dio in Taos, NM in 1997 by Chuck Smith & Sono Kuwaya­ma. · Once she gets an inspiration she makes up her mind not to interfere. · The artists of today have the inspiration, but before they can get it on canvas, they have about fifty ideas, and that is when the inspiration disappears. · Ideas are separate from inspiration; i.e. inspiration comes from the universe and ideas come from us. · The best art is music; that it is the highest form of art because of the emotion it invokes. · Artists don’t deserve the credit for their work because the inspiration comes to them and tells them exactly what to do. Even when they’re painting it tells them exactly which strokes to make. She says they have to take the blame if they get shaken between the inspiration and the finished product. · The worst thing you can do when creating art is to think about one’s self. · The happiest moment for her with her art is when they go out into the world. · The pursuit of knowledge is futile and is not conducive to inspiration. I’m going to be honest here and tell you that I haven’t quite grasped all of her work and maybe that is simply because I’m not in a position at this point in time to be able to really sit and meditate on it. I will say however, I understand her and her philosophy. I admire her for forcing me to think about what’s real. Life shouldn't be about all of the “stuff” we tend to get so entangled with. We need to take time out and go deep. I believe her work is classical in its striving for mathematical perfection. It allows us to focus on what needs not be thought about too much, clearing the way for inspiration. After meditating on her gridlines we are overcome with a feeling of infinity, which is an integral part of Zen meditation. This helps me to understand that she is ultimately striving for truth in herself and what she presents to the world. I feel safe with her because of that. Having grown up with a mind full of self my entire life, I feel almost ashamed at some of the stuff I continue to think about—over and over again; constantly allowing the negativity of this world to enter into my mind. I have lived a life “below the line” and she makes me more aware of it. I see her as a kind of guru, one that I want to study more. 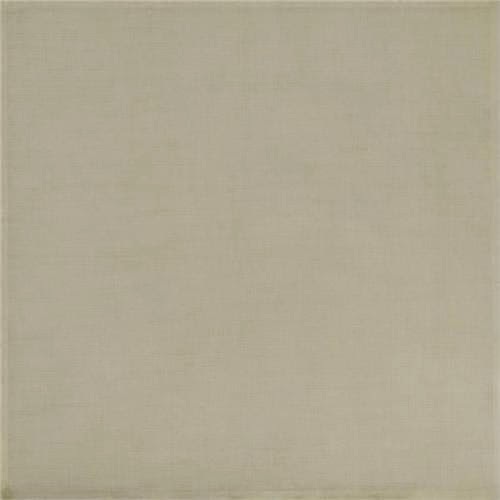 Agnes Martin is the Nirvana of the art world. I think next time I'll try a different movie maker. This one didn't produce as high a quality video as I would have liked. The images should be much more crisp. If anyone knows how I can make this happen, please leave a comment. I would greatly appreciate the input! Because this is my soapbox and a place for me to express myself, I feel I'm within my right to get personal on occasion. Today I would like to express gratitude to the Creator of all things for loving me enough to bring me forth into this world. I'm grateful for everything, both good and "bad," for it is suffering that molds, motivates and cheers me on. It is actually my best friend, making life richer and more meaningful. Discomfort helps guide me and I now realize that sometimes I must be uncomfortable. Awake, but uncomfortable. I am grateful I have the eyes to see that this world of form is made up of thought hurled forth into the universe. Not only by the Creator of all things, but also human beings as co-creators. We are told in sacred texts that we are capable of miraculous things if we'd only believe; i.e.--"Whatever the mind can conceive and believe--it can achieve ~ W. Clement Stone. It is even said, we are created in the image of God. What do YOU think that means? I believe when the Creator spoke forth the "word" and the word became flesh, it's actually an analogy to the power of sound, frequency and vibration, which is the glue that holds everything together. "Created in the image of God" doesn't mean we have the same physical appearance, it is more a spiritual likeness to the "Holy Spirit." It means we can speak forth and create as well, once we understand how to tap into the Source. Our words and the vibrations we as individuals produce, come from our thoughts. Therefore, thoughts eventually become things. Everything we set our eyes upon in this world was set forth into motion by a thought. We must take care of the thoughts we choose to entertain and choose our words wisely, because each thought and word produces a feeling. 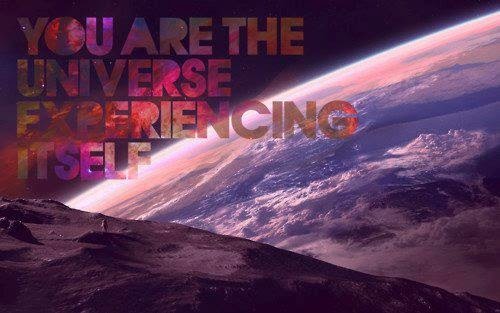 Those feelings create a vibration that ripples out to infinity and passes through everything around us. We can sense when someone is having bad feelings because it creates tension in the environment and acts as a repellent; just as we can sense when someone is emanating good feelings, which draws and attracts. What about music? Melody creates an emotion. The passion or mindset of the producer can be felt by the listener/receiver. Music is one of the only things on this earth that will either support or change the mood you're in. It is a part of the "glue" I discussed earlier. Creating and appreciating this glue is just one of the ways we humans get by in this world of form and I have profound gratitude over the fact that we have been blessed with this ability! Each of us is equipped with various ways of creating our own music in SO many differing ways. We can reset our emotions simply by emanating our own tune or by tapping into someone else's, so how do you want to feel? When you look at a tree do you see the word tree or do you see the essence of what it may be? Imagine a world without labels and immerse yourself in it. Learn to really SEE the things around you and appreciate them. Go for a walk outdoors and allow yourself to be a part of everything you see. All the color and the sound, as well as the moving shape of each thing. This is GRATITUDE. I am grateful for abstract thought, because imagination is where it all begins. It is the point of origin for everything brought forth into the physical world. Our Creator has given us the ability to tap into this wellspring to expand good upon good upon good upon good to infinity. "The most beautiful thing we can experience is the mysterious. It is the source of all true art and all science. He to whom this emotion is a stranger, who can no longer pause to wonder and stand rapt in awe, is as good as dead: his eyes are closed" ~ Albert Einstein. I am grateful for death because it can strengthen relationships. My uncle Mike passed away recently. He was a man's man. A strong provider for his family who developed Alzheimer's at the end of his life. Would he have chosen to die in that manner? NO. He died before the disease had a chance to completely incapacitate him, which was a blessing. After his death, I was reunited with a couple of cousins and a sister I hadn't seen in 25+ years. This was GOOD. There is good in every "bad" thing that happens. My uncle's death brought family together who would not have gotten together otherwise. There were some family members who I had never even met. I'm grateful for the time I spent with all of them, rekindling old relationships and creating new ones. It was all GOOD. I use to look at people I thought were "successful" and "rich" and feel envious. I wanted what they had. It is the mindset that is continuously pumped into the crowds I was a part of at the time. I understand the wanting to be free part; I get that all to well, but what never felt right was the fact that I rarely appreciated the present moment. I was a miserable human being looking to the future for happiness. Now I understand that we have no guarantee of a future and no power over the past. 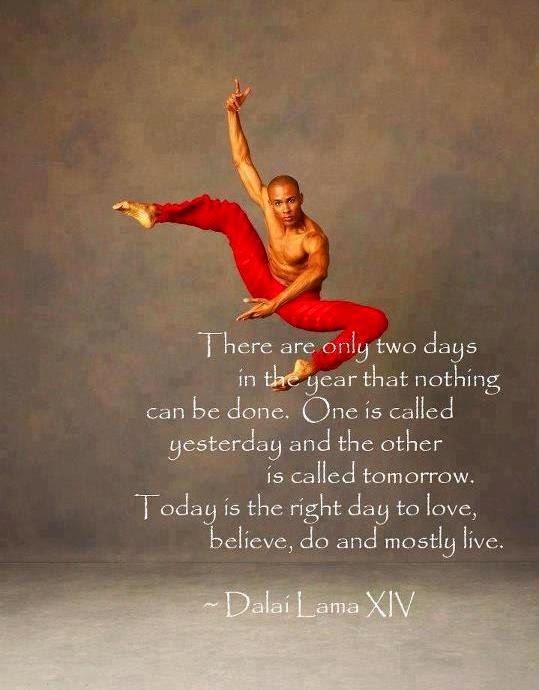 We only ever have the present moment, which is the only place our power can be found. We must make it a practice to SEE and immerse ourselves in as much as the senses can take in RIGHT NOW. This is where we find our connection to what is real, both physical and spiritual. This is where we find the "Holy Spirit." It's taken me awhile to get started on this feature because I really wanted to get it right. I have been a huge fan and supporter of Jan Laurenz from afar, and I am honored to be able to present him to as many people as possible. He is a phenomenal musician, ranked at the top of my list of favorites. I'm hoping you will agree by the time you're finished reading this and listening to some of his tunes. There will be many videos posted here, so you may want to come back and/or create a playlist of your own via YouTube, which is what I have done. Every time he comes out with a new video, I add it to my playlist. A playlist I listen to over and over again. I can't remember exactly how I stumbled across Jan Laurenz. I think I was searching for "Chapman Stick" videos on YouTube and as fate would have it, clicked on one of the Alto Stick videos he had posted at the time. I was astounded. The way I describe him when I'm sharing his videos is like this, "If it can be plucked or hammered, this guy can play it and play it well." I believe him to be a master musician and his music has affected me deeply through good times and bad. Imagine how excited I was when he agreed to help me with this feature by answering some questions and allowing me to grab some of his photos. Besides languages, Jan was an average student, but with his mind always on the guitar. 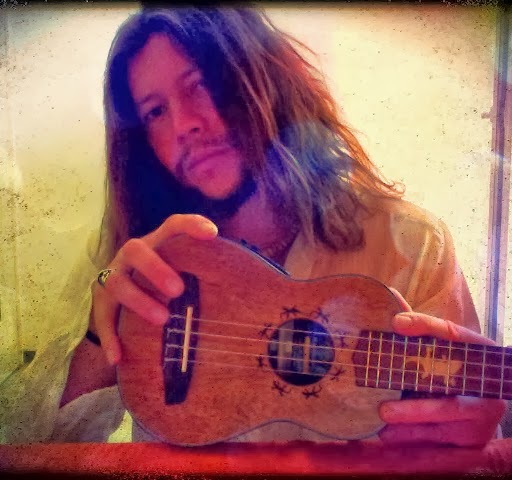 He developed an interest in Flamenco guitar by listening to his mother's Paco de Lucia vinyls and learned to play some of these compositions by ear. Right about that same time he studied under a guitar teacher who was sort of a hippy ("or just very cool guy") who "gave me some first feelings about improvisation, I never had any classical training" (Laurenz). 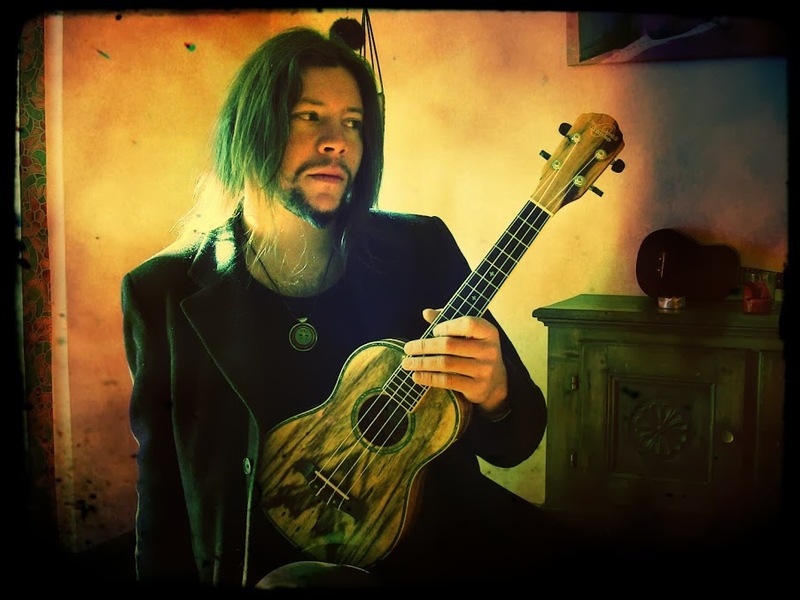 Jan stated that since his parents didn't really know what to do with him, they decided to help him study at a Swiss jazz school at age sixteen after accepting the fact that music was his main interest. His gratitude for this was evident when he wrote this in a correspondence to me, "I am so thankful forever [to] them to support me this way." He graduated after four years there and went directly into teaching guitar and playing in local bands. Later he moved to Barcelona, Spain to check out the scene there and ended up staying eleven years. Jan played gigs in that region and did very well with a band called "Calamento," which he terms a "flamenco fusion jazz rock band." 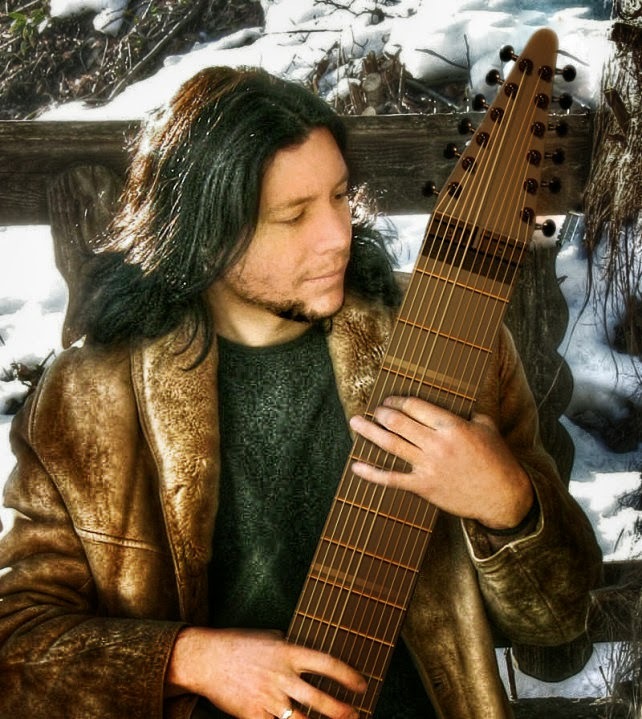 Eventually he discovered the Chapman Stick and what he calls the "tapping world in general" and began posting videos on YouTube. The Calamento band split up and he decided to move back to Switzerland, where he lives in a small town called "Loco" with his girlfriend, a graphic designer. He now gives lessons and plays in a band called "Encuentro," a trio band with a decent fanbase playing mostly world music. When I asked Jan where he felt his inspiration came from, this is what he said, "For me it just comes from [these] nice places around me, nature, walks in the wood, rivers ecc.. and also from some tasty beers which is my favorite drink :)"
At the time of this posting, Jan has an impressive 3574 subscribers to his YouTube channel. Thank you for taking the time to check out my blog! Podcast interview. WFNX's Fletcher and Henry discuss the upcoming "World's Largest Online Guitar Class" with Steve Vai. 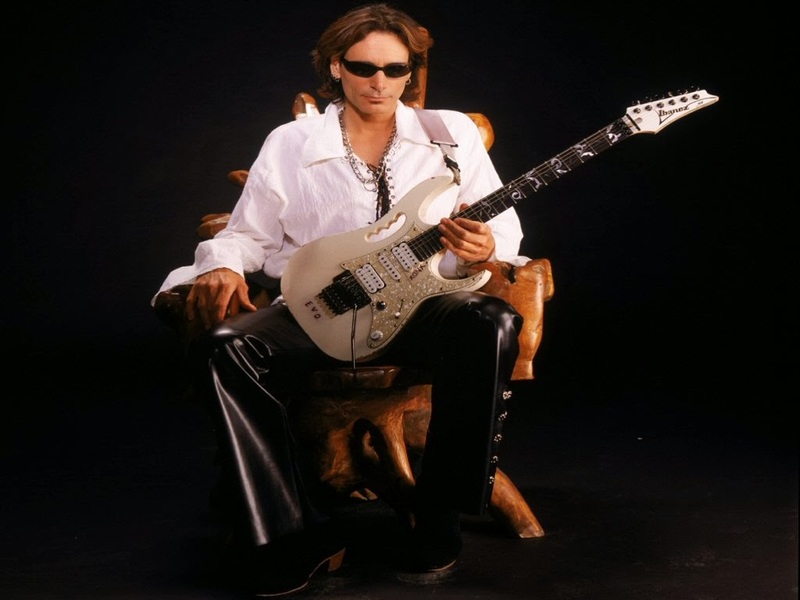 Steve Vai speaks in his usual confident manner about what he'll be going over in the "Berkeley Music" sponsored class conducted back on March 3, 2011. The event, scheduled just hours from this interview. Here is the best video I could find on YouTube of the online class. I'll continue to check around for something higher quality. Imagine yourself a young child rolling down a grassy hill. Finally, you come to a stop and position yourself comfortably on your back in order to look up at the sky. It’s a beautiful spring day with a bright-blue backdrop and big, billowy-white clouds. In these clouds you begin to see faces and animal shapes while listening to the birds as they frolic forefront of your view. Now as you turn onto your stomach, you look down at the grass and into the microcosm of a miniature world full of tiny bugs making their way out of their hiding places and into the warmth of spring. You are a part of this magical world as you imagine yourself climbing blades of grass and maneuvering yourself over tiny pebbles shaded by what could very-well-be the beginnings of a dandelion. The wonder you are experiencing feels tingly inside and as you turn to look and appreciate the rest of the world around you, you notice that a policeman and park ranger have congregated where your car was once parked and you watch as the front-end of your car gets smaller and smaller as it makes its way to the outskirts of the parking lot and finally out of view. Damn-it! You knew you shouldn’t have parked there! But spaces were limited and the park crawling with tourists and families with screaming children running around cussing at each other and blasting gang-banger music. So much for that tingly feeling. I believe this to be a modern-day visual similar to what William Wordsworth was trying to convey in his Ode on Intimations of Immortality. In the end Wordsworth does something I find surprising. For those of us who are familiar with the more negative side of reality as an adult, we can relate to the “thought of grief” (Wordsworth 796) all too well. Without giving any particular negative instances (making it timeless) we are reminded of the void we regularly feel as we grow older. I call it a void because that’s exactly what it is. A space inside that cannot be replaced by anything on the earth. All we have is a dim memory of the place and the magic of the “immortal sea” (799). Finally, we are relieved to find that there can be a bright side. It’s a good thing we’ve held onto those dim memories, because one day, through all of our yearning and pondering; we will find a way to see the good things in life. It’s been right there the whole time; we’ve just allowed our tainted physical perception to cloud our spiritual one. There was a time when meadow, grove, and stream, The earth, and every common sight, To me did seem Apparelled in celestial light… (Wordsworth 795). But then ends from more of a realists’ point of view, “The things which I have seen I now can see no more” (796). To this, a mature audience can relate. 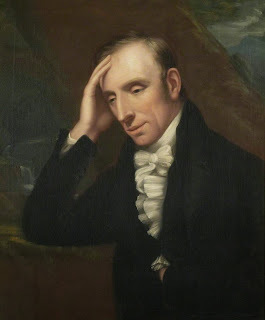 In the third and fourth stanza Wordsworth spares himself of his grief-stricken thoughts as he turns his focus back to nature, but his bliss is short-lived as we can see in the last line “Where is it now, the glory and the dream?” (Wordsworth 797). As he ponders the origins of humanity in the first line of the fifth stanza, Wordsworth states “Our birth is but a sleep and a forgetting” (797). But not entirely; we still have ties to our Creator and access to the light even if it’s hard for us to see it in our daily lives. In my first couple of readings of stanza six I misunderstood the author’s intention. I took it to mean that the earth with all of its sinful pleasures, was constantly trying to pull humanity away from its Creator. Upon further discernment, I realize Wordsworth wasn’t saying that at all. He respects Mother Earth and her pleasures, and is fond of the fact that she does all she can to lessen the pain of our yearning to be back with God in His “imperial palace” (Wordsworth 797). Ultimately, God is the Creator of all things, and thus created this “Mother” earth to offer us some comfort in life. This leads us into stanza seven where Wordsworth addresses our desire to grow up as quickly as possible when we are young and the various roles we’ll play as we mature. He speaks to a young child in stanza eight; a character “…six years’ Darling of pigmy size” (Wordsworth 797) and looks upon him as sort of a guru; one which is still in a position to access the world he so desperately would like to experience again. He admires this child but is perplexed as to why he would want to provoke “the inevitable yoke” (798) and the heaviness of life as an adult. This is just before Wordsworth begins to see the world from another perspective; likened to a seed that has to be planted before it can experience life again. In stanza nine and ten, the beauty of life and the world take on a whole new meaning, “O joy! that in our embers / Is something that doth live / That nature yet remembers / What was so fugitive! (Wordsworth 798-799). Then Wordsworth wraps up the poem in Stanza eleven with a beaming ray of hope and sense of fulfillment. We see there is solace in the human heart and in “Thoughts that do often lie to deep for tears” (800). He has finally come to grips with the fact that he will never again see the world through the eyes of a child, but that doesn’t mean it can no longer be beautiful. Our memories and our appreciation of nature in all of its glory will keep us connected to our source and help to bring about a more profound understanding of what’s important in life. Ode on Intimations of Immortality is an absolute masterpiece. It conjures thoughts and feelings that are familiar in a spiritual kind of way. Wordsworth takes us back to our youth and reminds us of the way we perceived the world when we were young and how important it is to hold onto that aspect of ourselves. As we move through the rest of the poem we are inundated with more familiarity, but it doesn’t feel quite as comfortable and nice. It is the jaded perception we inevitably clothe ourselves in that colors the world around us. The world is no longer magical. I grieve . . . I miss the family I had when I was a child. I miss the tingling feeling I would get when good things would happen and there was nothing standing in the way stealing my joy. Those moments lived much longer then. Wordsworth makes me realize I must consider myself blessed that I can remember it at all—in all of its bitter-sweetness. These memories aren’t of the physical realm, they are spiritual. These memories lie far “too deep for tears” and are seen through my own version of Wordsworth colored glasses. Wordsworth, William. “Ode on Intimations of Immortality.” The Norton Anthology of World Literature. Second Edition Volume E. Ed. Peter Simon. New York: W.W. Norton & Company, Inc., 2009. 795-800. Print. Is Cannabis a Legitimate Treatment Option for Cancer? This is a report I recently wrote for one of my classes last semester. It is a topic I feel very strongly about. The more I researched, the more convinced I became that cannabis is a legitimate treatment option. Our government along with the pharmaceutical companies do not want you to know this stuff. This paper will reveal the REAL reason for the negative stigma towards "marijuana." There are many skeptics who have a pre-conceived notion as to the validity of the medicinal claim for cannabis. Is it a legitimate treatment option? The use of cannabis stretches back into a well-documented, ancient history and was used for many years in many different cultures. Why would they have continued its use if there was not some sort of relief? It is through scientific research that we are finding the answers to these questions. Cannabis has not only been proven to act as an analgesic, a bronchodilator, an appetite stimulator and mood enhancer, it has also recently been proven to unleash a “programmed cell death” upon cancer cells in the human body. Although the latter is not yet a prescribed option for treatment or the “curing” of cancer, it is something we need to keep ourselves aware of. With the bombardment of pharmaceutical ads, media coverage and conditioned programming, in conjunction with the undesirable side-effects of traditionally prescribed treatments; education and personal preference is the key to making informed decisions. We must be vigilant and question everything regarding our own health. It does appear “medical marijuana” is a legitimate way in which to treat a variety of symptoms and conditions without unhealthy side-effects and there are many more advancements on the horizon. It will be interesting to see how “the forces that be” handle the evidence. The Cannabis plant, better known as “Marijuana,” has three major botanical strains: Cannabis sativa, Cannabis indica and Cannabis ruderalis. For the purpose of this report, we will be focusing on the medical uses of the indica and sativa strains. 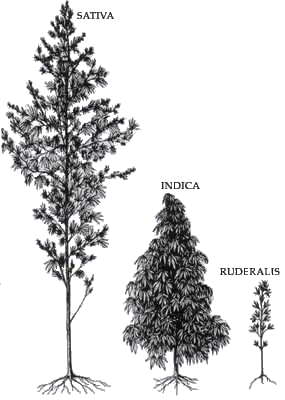 The ruderalis strain is more associated with product such as rope, paper, clothing, food and fuel, and less with mental and physical health. There are many skeptics with pre-conceived notions as to the validity of the medicinal claim for cannabis. Is cannabis a legitimate treatment option? This report intends to enlighten its audience on whether it is worth their time to pursue the medicinal aspects of cannabis. In an article on medicalnewstoday.com, What is Marijuana? What is Cannabis? it states there are over 400 chemicals contained in these plant genuses and of those chemicals, there are two main active ingredients: THC (tetrahydrocannabinol or delta-9-tetrahydrocannabinol) and CBD (Cannabidiol). The plant is usually broken down into dried buds, hashish and oil for usage or further processed into edibles, salves, lotions and body oils. More recently synthetic versions have been made into tinctures, under-the-tongue sprays and capsules for prescribed medicinal use. The history of cannabis stretches back into ancient times and is well-documented. The National Institute of Drug Abuses’ (NIDA) stated in their Marihuana Research Findings 1976, that medicinal use of the cannabis plant pre-dates recorded history. They also stated that “Cannabis had many uses as a medicinal herb in China; these are mentioned in the first or second century A.D. Pen Ts’ao Ching (Rubin, 1976) and are based upon traditions passed down from prehistoric times … the use of hemp as a folk medicine, ritual potion, condiment and intoxicating agent spread to India, the Middle East and beyond.” This was referenced from the fifteenth-century B.C. Chinese Pharmacopeia. According to Psychology Today, our first written references regarding cannabis are from a book called the Shu King, which date back to 2350 B.C. and refers to “silk and hemp” (Psychology Today). Throughout the history of this mysterious plant, there have been many recorded medicinal uses from a vast array of cultures. Most of the treated ailments had something to do with the alleviation of; dysmenorrheal (female cramps), loss of appetite, pain, breathing disorders and psychological issues, such as “melancholia” and “hysteria” (NIDA Research 1976). More recently, researchers have proven that cannabis has far more healing power than previously thought. Most importantly, it’s role in fighting cancer at the molecular level. While it is true that many people use the cannabis plant for recreational use, there are many (including medical researchers) who claim it is the medicinal properties to which they are attracted. Up until the late 1930’s, extracts of cannabis were an important part of the American Pharmacopoeia, with companies such as Parke-Davis and Eli-Lily mass-producing standardized extracts for the use of sedative, analgesic and anti-spasmodic conditions. Grimault & Company packaged marijuana cigarettes for use as a remedy to combat asthma (Pro-Con.org). It wasn’t until 1930 when a man by the name of Harry Anslinger, Commissioner of the Federal Bureau of Narcotics, began to sway government opinion in his campaign against “marihuana.” He used the term “marihuana” in a derogatory manner, while working to incite fear of Mexican and Spanish-speaking people. He stated “I wish I could show you what a small marijuana cigarette can do to one of our degenerate Spanish-speaking residents. That’s why our problem is so great; the greatest percentage of our population is composed of Spanish-speaking persons, most of who are low mentally, because of social and racial conditions” (Britannica Online). Around that same time, while hemp was still heavily in use for making paper, newspaper mogul Randolph Hearst dropped the words “cannabis” and “hemp” from his newspaper’s vocabulary and also began to campaign against “marihuana.” What’s more interesting is the fact that William Randolph Hearst had financial interests in paper and lumber industries at that time, which was thought to have provoked him to eliminate the competition. To say, however, as has been proposed here, that the use of the drug should be prevented by a prohibitive tax, loses sight of the fact that future investigation may show that there are substantial medical uses for Cannabis (Pro-Con.org). Since those early days of prohibition against “marijuana,” it has been an uphill battle for researchers and proponents for the medicinal use of “cannabis” and there is another variable that must be considered; it is the fact that a plant cannot be patented. How does this affect the rate at which our government is motivated to act? 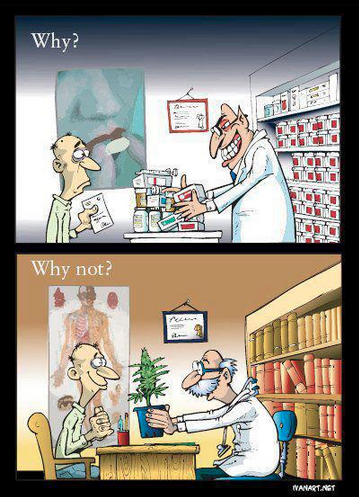 Perhaps we should ask the pharmaceutical companies that question. Federal authorities should rescind their prohibition of the medicinal use of marijuana for seriously ill patients and allow physicians to decide which patients to treat. The government should change marijuana's status from that of a Schedule 1 drug (considered to be potentially addictive and with no current medical use) to that of a Schedule 2 drug (potentially addictive but with some accepted medical use) and regulate it accordingly (Norml). To this day, cannabis remains a schedule I drug in the same category as heroin. There are eighteen states that have legalized MMJ, two of which are now legal for recreational use. Figure 2. State by State Medical Marijuana Stats. One of the biggest breakthroughs in cancer research today with regards to the active ingredients in cannabis is something called “apoptosis,” which is a term used to describe the way in which the human endocannabinoid system not only regulates and inhibits tumor growth, but will also induce programmed cell death (Cancer Res 2004). 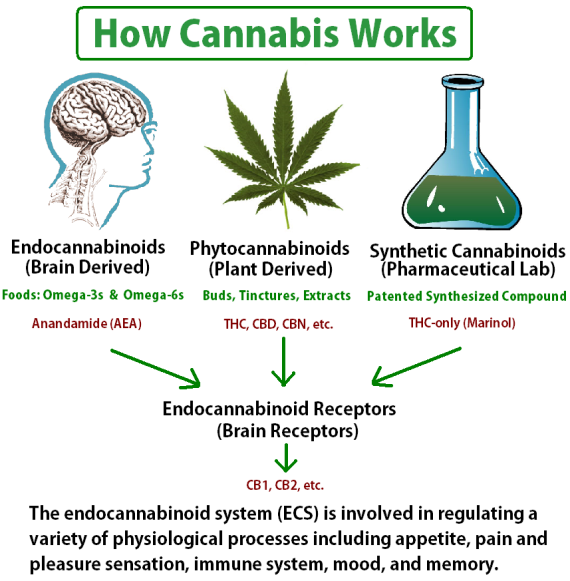 The term 'endocannabinoid' — originally coined in the mid-1990s after the discovery of membrane receptors for the psychoactive principle in Cannabis, 9-tetrahydrocannabinol and their endogenous ligands — now indicates a whole signalling system that comprises cannabinoid receptors, endogenous ligands and enzymes for ligand biosynthesis and inactivation. This system seems to be involved in an ever-increasing number of pathological conditions. With novel products already being aimed at the pharmaceutical market little more than a decade since the discovery of cannabinoid receptors, the endocannabinoid system seems to hold even more promise for the future development of therapeutic drugs. We explore the conditions under which the potential of targeting the endocannabinoid system might be realized in the years to come (Nature.com). It appears our bodies are programmed for the use of cannabis. THC is the only ingredient that fits into these cannabinoid receptors and this is what all the fuss is about. Figure 3. How Cannabis Works. It is fairly well-known that smoking marijuana induces “the munchies;” a condition that not only increases appetite, but also helps to intensify flavor. What is lesser-known is the fact that cannabis also quells nausea. This is especially important to cancer patients experiencing this common side-effect relating to chemotherapy. Nutrition is a very important part of the healing process and if food cannot be held down, the energy needed for recovery and repair isn’t accessible. It comes as no surprise that cannabis has also been used in the treatment of anorexia. “Cannabinoids stimulate appetite and may have a use in palliative care for anorexia caused by opioids, antiviral drugs, AIDS-related illnesses or terminal cancer…” (Wiley Online Library). Noyes et al. [59, 60] carried out two double-blind placebo-controlled studies with THC. In the first study, 10 patients with cancer pain received oral THC 5, 10, 15 and 20 mg and placebo in random order. Significant pain relief was obtained with the two higher doses compared with placebo. Pain relief peaked at 3 h and was still near maximum 6 h after THC administration. In the second study, oral THC 10 mg and 20 mg was compared with oral codeine 60 mg and 120 mg in 36 patients with cancer pain. Tetrahydrocannabinol 20 mg and codeine 120 mg gave significant pain relief compared with placebo. Jain et al. , in another controlled study, reported significant pain relief compared with placebo in 56 patients with postoperative pain given the synthetic cannabinoid levonantradol intramuscularly in four doses (1.5, 2.0, 2.5 and 3.0 mg). There was no clear dose−response effect but analgesia with the higher doses persisted for well over 6 h” (Wiley Online Library). It appears pain sufferers obtain relief through the use of cannabis on its own, as well as in conjunction with opiates. The need for opiates is greatly reduced when used in conjunction with cannabis. Back to the days of Hippocrates, surgeons and physicians have been battling cancer. In those days, after realizing again and again that tumors would re-emerge after surgery, they began to label the patient “incurable.” It wasn’t until the 21st century; physicians believed the disease could be cured. One of the issues was the inability to perform surgery without anesthesia. That began to change in 1846 when anesthesia finally became available. This period of time was known as “the century of the surgeon” (American Cancer Society). With practice and the use of anesthesia, these surgeons felt confident enough to remove entire cancers and perform mastectomies. Later on, surgeons realized they did not have to resort to such radical methods regarding breast cancer and opted for the less invasive “lumpectomy.” Advancements were also made in bone and soft-tissue cancers, allowing removal of tumors without having to resort to amputation. Even more recently, the medical industry has the use of tiny cameras and tools, which allow them to enter the body in the least invasive manner possible. It was in the very early 1900’s when radiation therapy first came into use after the discovery of radiation as applied to diagnosis, “Radiation therapy began with radium and with relatively low-voltage diagnostic machines” (American Cancer Society). Since that time great advancements have taken place which enable oncologists to treat the tumors with greater precision. On another note, the same radiation used to diagnose and treat, was actually found to cause cancer. The term for this is “secondary cancer.” This occurs when healthy tissues are affected by the radiation located in the nearby vicinity. Although these secondary cancers are not as prevalent as they once were, their risks cannot be ruled out. It was during World War II when military personnel exposed to mustard gas exhibited toxic levels of this poison which affected their white blood cells. Researchers began investigating ways to improve conditions in order to protect the men and during the course of this research identified that “a compound called nitrogen mustard was studied and found to work against a cancer of the lymph nodes called lymphoma. This agent served as the model for a long series of similar but more effective agents (called alkylating agents) that killed rapidly growing cancer cells by damaging their DNA” (American Cancer Society). It was around that same time when other researchers found certain compounds that worked well in conjunction, propelling the era of chemotherapy. In 1956, the first case of metastatic cancer was cured. Pain—caused by the cancer itself or as a result of applied treatments. Nausea and vomiting—directly related to the result of applied treatments. Synthetic medicines are usually prescribed to combat this effect. Fatigue—caused by the cancer itself or as a result of applied treatments. Anemia—caused by the cancer itself spreading into bone marrow or as a result of applied treatments. Infections—caused by the cancer itself or as a result of applied treatments, leading to a compromised immune system. Second cancers caused by cancer treatment—Applied treatments themselves may increase cancer risk later in life. Sexual side-effects in men—caused by the cancer itself or as a result of applied treatments. Sexual side-effects in women—caused by the cancer itself or as a result of applied treatments. Fertility—as a result of surgery or applied treatments (cancer.org). 1. What treatments/therapies have you incorporated? 2. What are the side-effects? 3. How has it helped your condition? Her reply was quite lengthy, so it will be included in an addendum. She never addresses whether or not traditional treatments have helped her. However, she does mention the effectiveness of cannabis in treating her side-effects. While in certain instances surgery does appear to be an excellent course of action, the patient still must take many factors into consideration. What are his/her chances of survival afterwards? How will this type of surgery effect quality of life? What is the probably of effectiveness? The same factors apply to radiation and chemotherapy. "Cafe Vale Tudo" Cafe Vale Tudo. N.p., n.d. JPEG file. 01 May 2013. "Deaths and Mortality." Centers for Disease Control and Prevention. Centers for Disease Control and Prevention, 05 Apr. 2013. Web. 01 May 2013. "Historical Timeline - Medical Marijuana - ProCon.org." Historical Timeline - Medical Marijuana - ProCon.org. N.p., n.d. Web. 02 May 2013. "How Does Radiation Therapy Work?" How Does Radiation Therapy Work? American Cancer Society, n.d. Web. 02 May 2013. Jann Gumbiner, Ph.D. "History of Cannabis in Ancient China." Psychology Today, n.d. Web. 28 April 2013. Kopel, David. "Reefer Madness and the Prohibition of Marijuana in the United States. "Encyclopedia Britannica Online. Encyclopedia Britannica, n.d. Web. 01 May 2013. "New England Journal Of Medicine Argues For Medical Marijuana Proposed NORML Bill Echoes Medical Journal's Sentiments." NORML, n.d. Web. 28April 2013. Nordqvist, Christian. "What Is Marijuana? What Is Cannabis?" Medical News Today. MediLexicon International, 11 June 2012. JPEG file. Web. 28 April 2013. Petersen, Robert C. Ph.D., ed. Nida Research Monograph 14. U.S. Department Of Health, Education, and Welfare P, 1977. Print. R. N. Kumar1, W. A. Chambers2, R. G. Pertwee3. "Pharmacological Actions and Therapeutic Uses of Cannabis and Cannabinoids." Wiley Online Library. Anaesthesia, n.d. PDF file. 28 April 2013. Russ Belville. "NORML.org - Working to Reform Marijuana Laws." NORML Blog Marijuana Law Reform Medical Marijuanas Not Getting Any Better the Time for RElegalization Is NOW. Norml, n.d. JPEG file. Web. 01 May 2013. Stefan Hart, Oliver M. Fischer, and Axel Ullrich. "Cannabinoids Induce Cancer Cell Proliferation via Tumor Necrosis Factor α-Converting Enzyme (TACE/ADAM17)- Mediated Transactivation of the Epidermal Growth Factor Receptor." American Association for Cancer Research, n.d. PDF file. 27 April 2013. "The History of Cancer." American Cancer Society, n.d. Web. 28 April 2013. Vincenzo Di Marzo1, Maurizio Bifulco3 & Luciano De Petrocellis2. Nature.com. Nature Publishing Group, n.d. Web. 01 May 2013. *In order to honor the hell my friend has had to endure, I have made no corrections and left the text she emailed to me just as she wrote it. The following is in her own words. My symptoms were quite vague and all were initially attributed to everyday occurances. The most notable was the back pain that was dead center of my back and got increasingly worse over a course of 60-90 days. It was when I became severely jaundiced on Dec. 27, 2012 that I finally went to the ER. A CT scan was done and found the tumor that was 5cm in size and was blocking my bile duct – leading to the jaundice. 1. Leucovorin: A reduced folic acid used in combination with the other drugs to either enhance effectiveness or as a “chemoprotectant”. Side effects of Leucovorin are typically attributable to other medications given in conjunction with Leucovorin. When given with fluorocuracil (5-FU), the side effects of the 5-FU may be more pronounced. I’ll discuss those side-effects I felt under the 5-FU listing. a. Peripheral Neuropathy: Numbness and tingling and cramping of the hands and feet often triggered by cold. I suffer this with each treatment – mostly the sharp tingling of the fingers brought on by cold or “frozen lips/esophagus/stomach cramping when eating something frozen or even when drinking something with ice in it. Each treatment seems it takes a little longer for this side effect to subside. To treat this I keep a pair of gloves in my purse and use them when grocery shopping in the frozen section. I rarely have a “cold drink” anymore – everything has to be at room temperature or I get a feeling of my mouth and esophagus being “paralyzed” and then my stomach will cramp severely. b. Nausea and vomiting: Even with the medications I’m given to help with this – I’ve had some bouts of nausea/vomiting where my back was thrown out from the violence of the vomiting. My best treatment for the nausea has been cannabis – and has the least of its own side effects. The anti-nausea medications I have taken lead to severe constipation, even further fatigue (debilitating fatigue) and a complete loss of appetite. c. Diarrhea: Yeah – ugh. d. Mouth sores: Much like canker sores or sores when you burn your mouth eating something too hot – I’ve had them all over my gums, lips and cheeks. There is a medical mouthwash I could have gotten – but rinsing with a sea-salt water worked very well and is how I’ve treated “chemo-mouth”. Trying to eat with this was extremely painful and the prescription medication for most of the “pains” I’ve had to deal with is Oxycontin. Oxycontin causes severe constipation for me and doesn’t truly eliminate the pain I go through based on the “safe” levels I can take of it. My best treatment for this was cannabis as it just made it easier to tolerate some pain when I knew I absolutely had to find a way to eat something even with the sores. e. Low Blood Counts: White and Red Blood cell counts drop, putting me at risk for infection, anemia and/or bleeding. Each treatment has led to low counts and I’ve nearly had 3 treatments postponed from it. f. Fatigue: There have been times where all I could do was rest for as many as 4-5 days at a time. g. Loss of appetite: Losing 40+ lbs. over a 45 day time frame really took a toll. At my lowest point I weighed only 96 lbs. Not only did the cancer itself mess with my stomach, but treatments did too. With the severe nausea, mouth sores, etc – the only non-prescription relief I could find was cannabis. Typically about 30 minutes after using my vaporizer, I would be hungry enough to eat at least a small portion of food and drink down a protein shake. h. Other generalized side effexts of Oxaliplatin are constipation, fever, generalized pain, headache, cough and temporary increases in blood tests measuring liver function. Again – the generalized pain, constipation and headaches were improved when I replaced the use of Oxycontin or Hydrocodone occasionally with the use of cannabis through my home vaporizer. a: Irinotecan is an irritant chemical that can cause inflammation of the vein through which it is given. Even with a power port that I had installed just over my right breast – there is a “blackening” of the vein and catheter that lead to my main vein in my neck. b. Diarrhea: Yep – ugh again. d. Weakness: There are times for at least a week after treatment where I literally have to use my arms and help pull myself up from a squatting position in front the of kitchen cabinets. e. Low white and red blood cell counts. f. Hair loss – I have had a little thinning and my eyelashes fell out – but I still have a lot of hair. k. Cough, headache, dehydration, chills, flatulaence, mouth sores, heartburn, swelling of feet and ankles – and yes – I’ve had them all!! I take prevacid twice a day for about 20 out of 30 days of the month due to the heartburn. 4; Fluorouracil (5-FU): is a cytotoxic or antineoplastic drug and is classified as an antimetabolite. I take this one over a 46 hour period on a portable pump at home due to how toxic it is – it must be taken slowly. b. Photophobia: sensitivity to light, watery eyes. c. Taste changes, metallic taste in mouth during infusion –s ometimes lasting for days. d. Discoloration along vein through which the medication is given. i. Extreme drowsiness or dizziness – which explains why I sleep for several days after a cycle of treatment. 1. Meditation. One side-effect of a cancer diagnosis that just can’t be ignored is the mental drain it takes on someone. The meditation has helped me to manage the physical and emotional effects of cancer and cancer treatments. 2. Physical therapy: I have enlisted the help of a personal trainer with a medical degree who helps on the days I can tolerate exercise – to monitor and assist in trying to regain strength, balance, coordination and stamina. This will go into full force after surgery is done and I am no longer on chemo treatments. 3. Bathtime: I’ve found taking a nice warm bath with great smelling bath oils does wonders at relieving many symptoms, side-effects and emotional health. 4. MMJ: After reading through this – I’m sure you can see where MMJ has been a true god-send at times. Oxycontin, Hydrocodone, Atropine, Delotid, etc: they all have a purpose but some things that are left untreated by them are the loss of appetite, nausea, and sleeping disorders. Sleep is a MUST for cancer patients – it’s the time the body can work to heal itself – especially after taking these very toxic chemo drugs!! I’ve been able to eat my best – most needed meals after relaxing with a little MMJ. And for sleep: I can usually get 4-5 hours of solid sleep after using MMJ – and it is the ONLY thing that helps. Hope this helps you – feel free to ask any questions you may have!